Most traditional Ethiopian dishes are cooked over the stove, stirred frequently, and treated with love. While a romantic option for those with a little extra time, I needed a more efficient option—a rice cooker. My favorite weeknight staple is a simple stew made with red lentils and berbere, alongside grilled fish with awaze sauce. Here are the recipes for both. If you don’t have a rice cooker with a porridge setting, cook in a pot over a hot stove and stir occasionally until the lentils are tender. The measurements are meant to be guides only. Set the rice cooker to quick-cook setting, and add the garlic and ginger with a little oil. 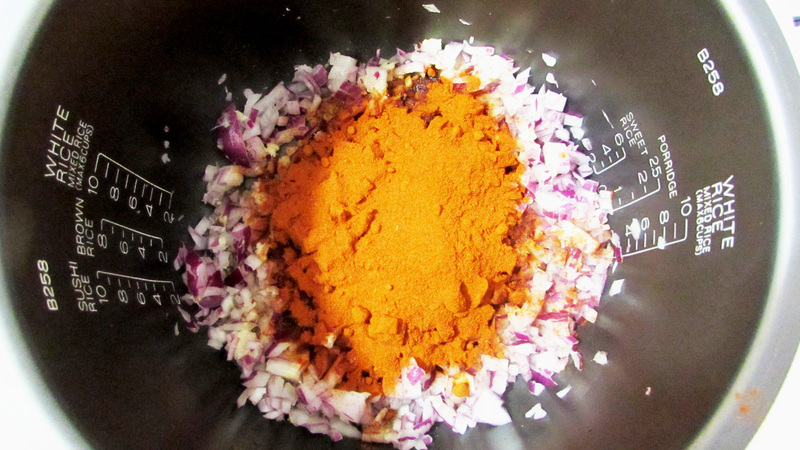 When the garlic begins to sizzle, add the onion and the berbere. Add the lentils and the water and stir, and set for the porridge setting. The lentils will cook for about an hour. When done, add the cardamom, butter and salt. Serve warm with injera or rolls of bread. Note: I usually need to turn the cooker off for about a minute so that it cools enough to operate on the porridge setting. 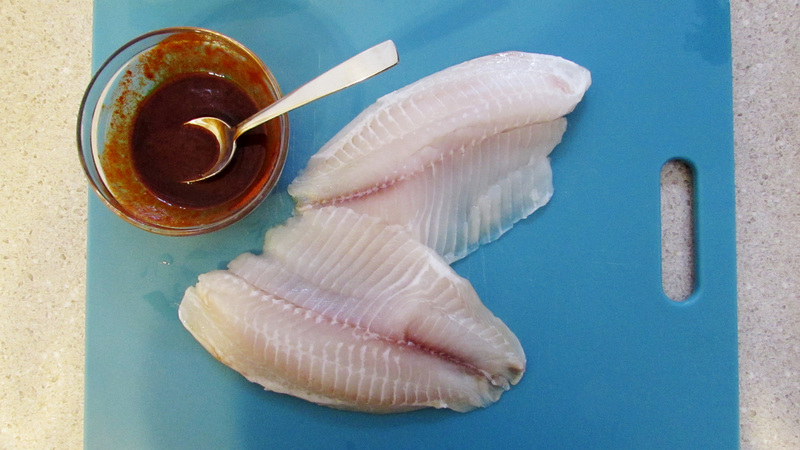 Cover the fish cubes with half of the awaze sauce, and sauté over low-to-medium heat until cooked through (about 2-3 minutes). 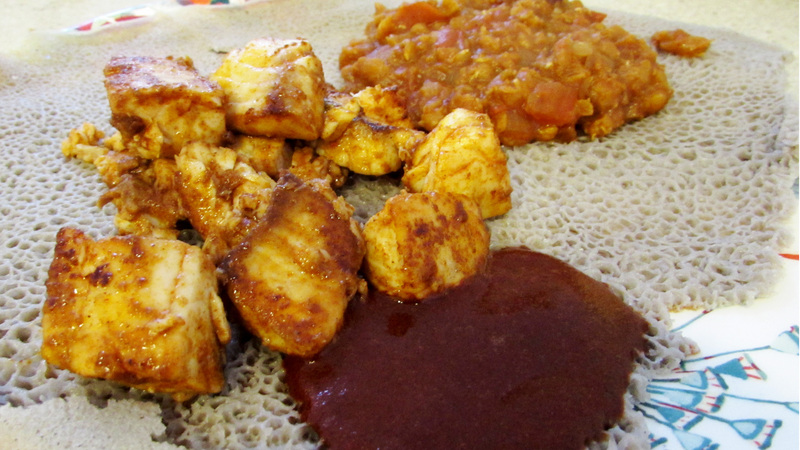 Serve with the remaining awaze sauce on injera. Alternative option: For a non-alcoholic awaze, mix berbere and coca-cola in equal parts. It’s got a zing!